Why Is It So Important to Have Your Tires in Alignment? The alignment on your vehicle is not necessarily something that people often keep up with. It is something, however, that people should be keeping more of an eye on. This is not only because having your tires aligned properly can keep you safe on the road, but it can also save you money! If your tires are out of alignment, they end up wearing unevenly on one side. This causes your tires to wear down significantly faster than they would normally. If this is the case, you will have to buy an entirely new set of tires sooner than you might expect just to keep you safe on the road. The alignment on your car, truck, or SUV can be thrown off surprisingly easily. There are quite a few things that can throw off your wheel alignment. Your wheel alignment can be thrown off by the general wear and tear of the road, hitting a curb, driving over pot holes, car accidents, and much more. The wheel alignment on your vehicle is so easy to be classified as “unaligned” due to the fact that it is measured in tenths and hundredths of degrees or inches. That’s a really small difference! It’s actually so small that it’s sometimes hard to tell with just the human eye. For that reason, specialized tools have been created to check the alignment of a vehicle. It is still incredibly important, however, to make sure that your vehicle’s alignment is within the recommended specification so that you can stay safe and not have to spend unnecessary money on a new set of tires. When you need your tires to be aligned, you need to have it done properly by people who have the right tools and technology to get the job done. 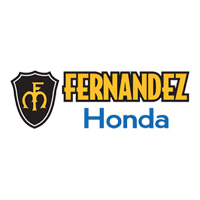 Our service center here at Fernandez Honda in San Antonio, TX has the technology and the knowhow to fix the alignment on your vehicle in no time! Our service specials can help you save a little cash for your next service, so make sure to check back often. We are conveniently located at 8015 IH 35 S., San Antonio, TX 78224 for everyone in the San Antonio, New Braunfels, Austin, Houston or San Marcos areas. Give us a call at (210) 253-8500 with any questions! Schedule your wheel alignment service online now!